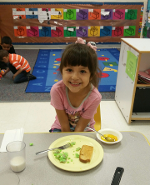 At Greater Opportunities of the Permian Basin, Inc in Odessa, Texas, one of our major goals is improving the health of the communities in which children live. We do this by making existing health resources more responsive to the special needs of low-income families, demonstrating new skills, techniques, and patterns by health professionals, and acquiring new knowledge through research. Our organization offers health services including dental examinations for children. The Health Service Program of Head Start is organized into four closely interrelated parts: medical, dental, mental health, and nutrition. It is important to keep in mind the needs of the children, including those with disabilities. The child's health includes the joint efforts of the health professionals, Head Start teachers, teacher aides, health staff, and parents. The goal of the G.O.P.B. Dental Program is to ensure that all children, by the end of the school year, are free of dental diseases. This task is accomplished through dental examinations and treatments, and by promoting effective dental hygiene among children in conjunction with meals. Contact us to learn more about our health services and dental examinations. 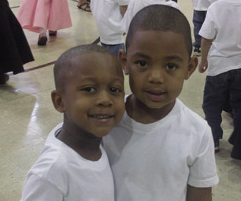 Contact us to learn more about our Head Start program.